Located in Concord, A & J Fencing is a family owned custom fencing company and deck builder that has been servicing Concord and the East Bay area for over a decade. In addition to our hardworking employees and high-quality redwood boards, which ensure durability, we also have a 15-year warranty and maintenance program to deliver the highest level of customer satisfaction. 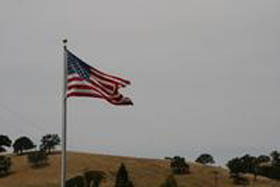 Concord is the largest city in Contra Costa County and is located at the foot of Mt. Diablo. Concord offers families safe and affordable housing, a variety of restaurants with world-class cuisine, and downtown’s Todos Santos Plaza offers a community-gathering place for special events, a farmer’s market and free music programs from summer through fall. A & J Fencing has been working with Concord residents for over a decade. We offer a wide variety of fencing to fit your style and stay within your means.